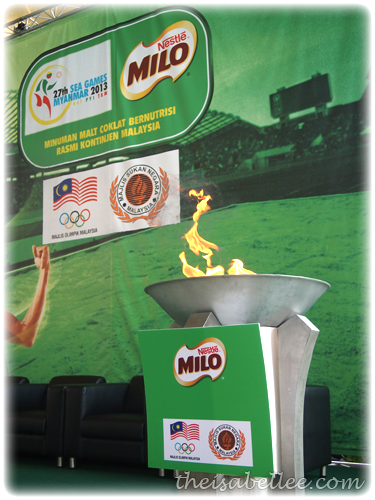 Recently went for an event at Bukit Jalil. 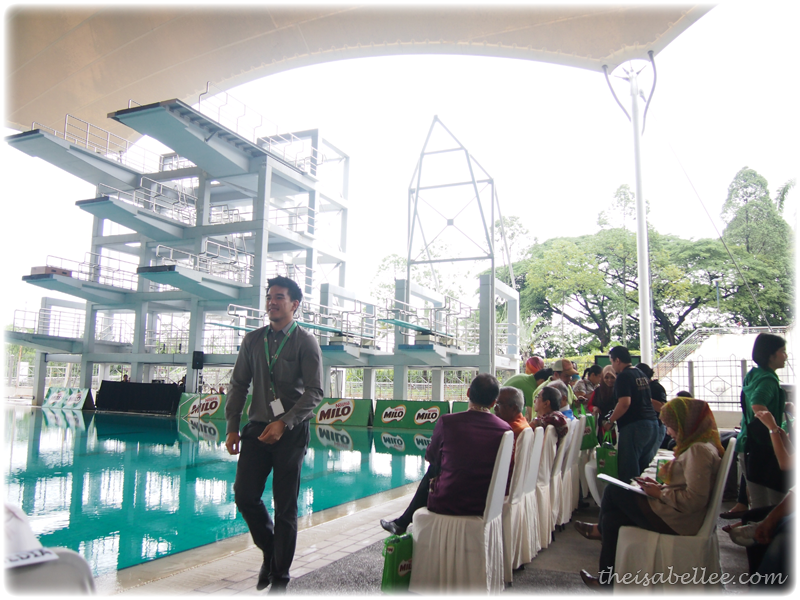 It was supposed to be a 20 minute drive but somehow due to the rain, jam, loves-long-routes-GPS & my inability to drive anywhere without getting lost, I took 2 hours to get there with some sight-seeing in Putrajaya =_="
Then I reached the venue and I was like oh my god... 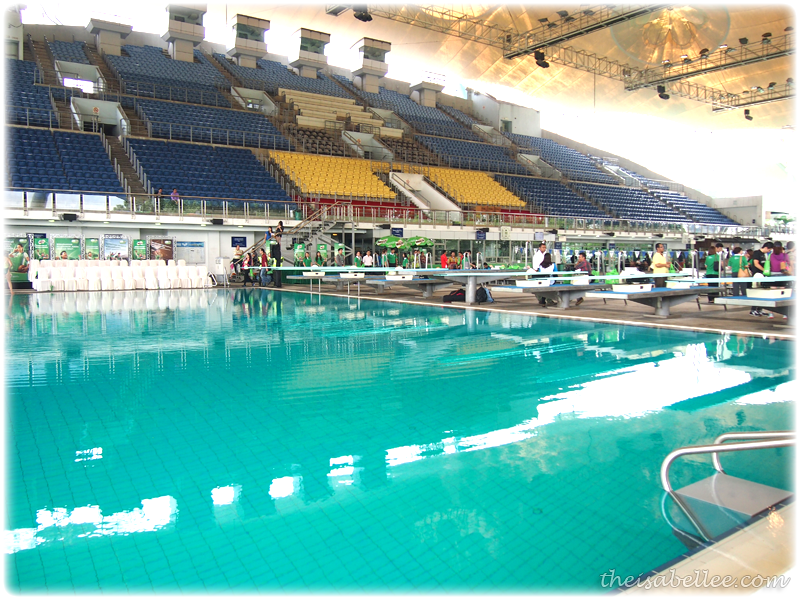 SO much water! FYI, I can't swim and was a lil nervous walking next to this. MILO has launched it's latest campaign - Fuel For Champions. 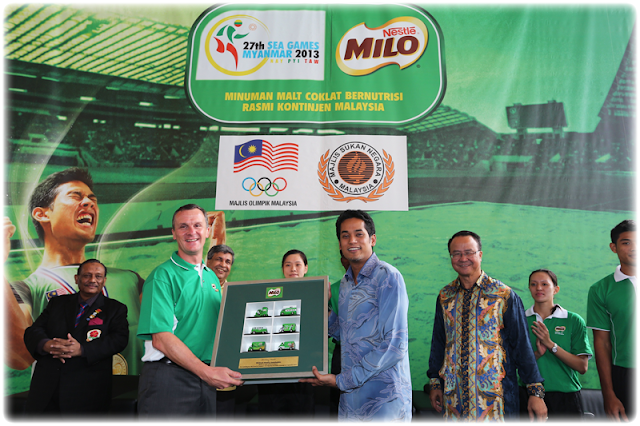 Working with the government and Olympic Council of Malaysia, they aim to drive youth towards becoming the nation's champions in the world of sports. 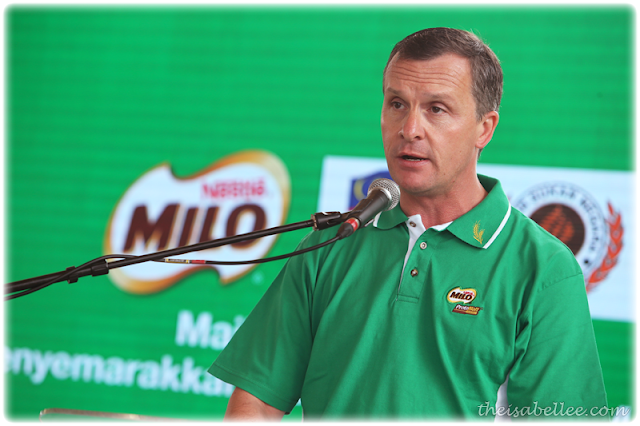 Mr Alois Hofbauer, Region Head of Nestle Malaysia and Singapore, encouraged youngsters to play sports while exploring their strengths and developing their mental, physical and social skills. 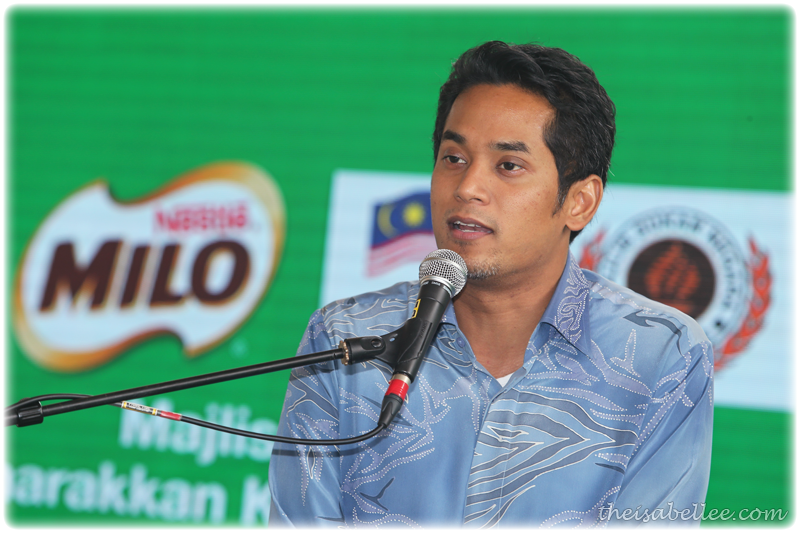 It's not all about grades anymore..
"Through sports, language and cultural barriers become irrelevant, and it brings us together in true harmony regardless of race and creed" - YB Encik Khairy Jamaluddin, Minister of Youth and Sports. He also applauded Milo for their effort and commitment in creating future champions. 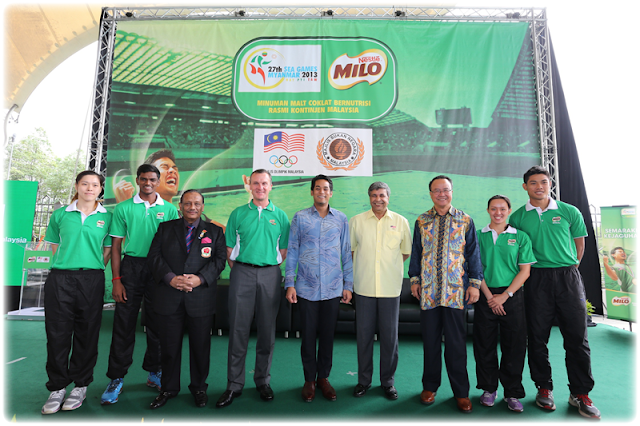 Mini Olympic torch run by some of our country's heroes - Yong Shin Min (basketball), S. Kannathasan (relay run), Khoo Cai Lin (swimming) and Muhammad Hakimi Ismail (triple jump), who will be representing our country at the 27th SEA Games in Myanmar. 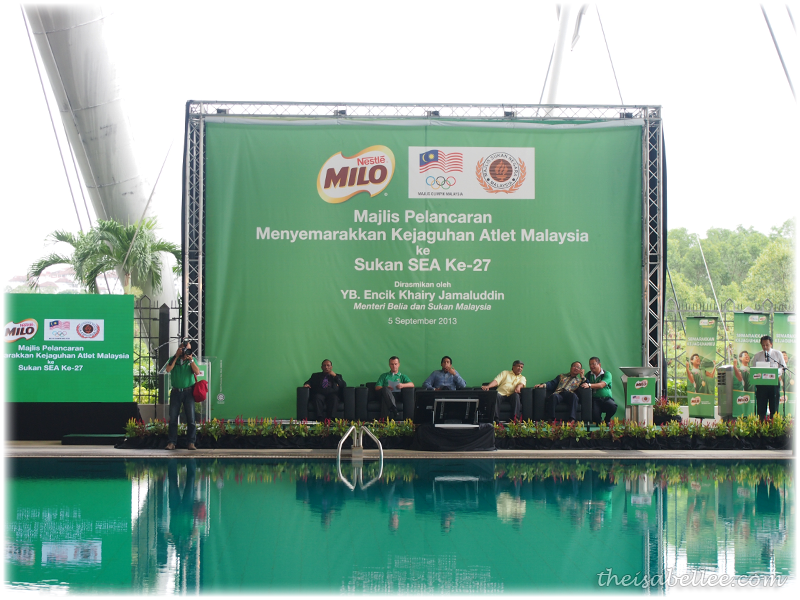 Guests were entertained by the National Synchronized Swimming Team of Malaysia next. This was my first time watching synchronized swimming live so it was pretty exciting.